I can go back to work; regaining a since of belonging to society and communicate with others. I can go to the to the grocery story in the middle of back-to-school-shopping crowds versus waiting to 0200 on a Thursday with no people in the store. I can go into large crowds attending a volley ball game or just having a nice dinner out without having to look for the exits. 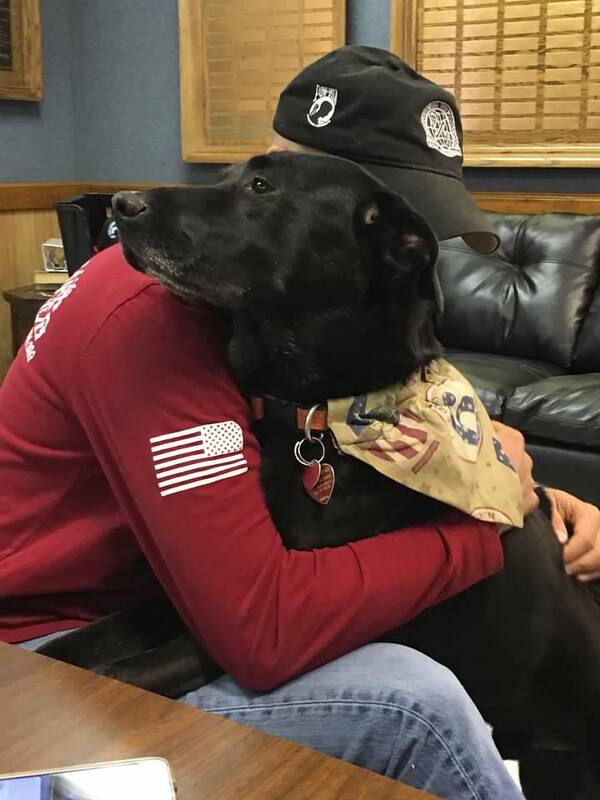 I can “pay it forward” as Orion, my service dog, has given me confidence in allowing me to start a service dog non-profit in helping other veterans realize how a service dog can be used as a tool for the internal wounds, just like a prosthetic leg might be a for a visible wound. 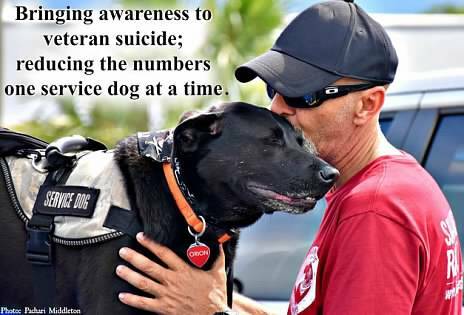 We can speak at public forums for community outreach– raising awareness to veteran suicide; reducing the numbers one service dog at time.